HANGZHOU: Chinese car company Geely registered fast revenue and profit growth in 2018, according to its financial report filed with the Hong Kong Exchanges and Clearing Limited (HKEX) Thursday. The company, based in eastern China's Zhejiang Province, raked in 106.6 billion yuan (about 16 billion U.S. dollars) in revenue last year, up 15 percent year on year. The net profit attributable to shareholders saw an 18-percent increase to 12.55 billion yuan in 2018, according to the document. 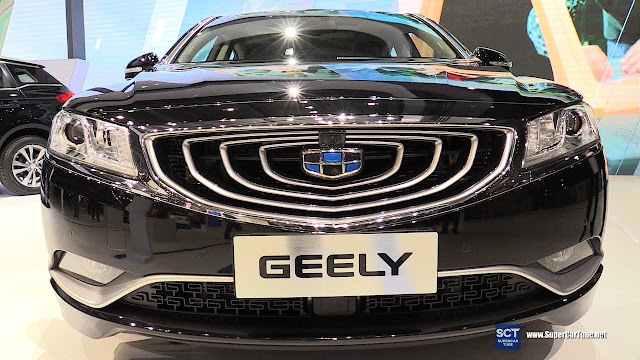 Despite China seeing a 4-percent decline in the passenger vehicle market last year, the company continued to increase its market share and its leading position in the country's passenger vehicle segment, Geely stated in its financial report. Geely sold 1.5 million units of vehicles last year, up 20 percent year on year. Sales volume in the domestic market went up 19 percent, while export sales volume posted a strong rebound of 136 percent. The company's passenger vehicle market share has increased from 5 percent in 2017 to 6.2 percent in 2018, making it the third largest in terms of annual sales volume in China's passenger vehicle market.